Gottlieb will require Senate confirmation before he can assume the position. camera (AP Photo/Harry Hamburg, File) In this June 11, 2009 file photo, Dr. Scott Gottlieb, left, is seen on Capitol Hill in Washington. A White House official says President Donald Trump is choosing Gottlieb, a conservative doctor-turned-pundit with deep ties to Wall Street and the pharmaceutical industry to lead the powerful Food and Drug Administration. The White House announced Friday that President Donald Trump intends to nominate Scott Gottlieb as the new commissioner of the Food and Drug Administration. 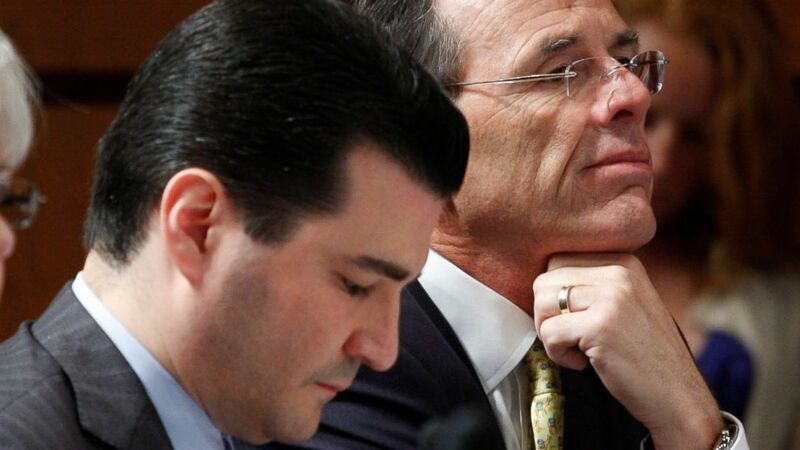 Gottlieb, a physician, previously served as deputy commissioner for medical and scientific affairs with the FDA during the administration of President George W. Bush. He is currently a partner at New Enterprise Associates specializing in health care investments and is a resident fellow at the American Enterprise Institute. Gottlieb will require Senate confirmation before he can assume the position leading the group, which oversees the safety of food and pharmaceuticals in the U.S. The FDA lies within the Department of Health and Human Services, which is led by another doctor, Tom Price. The agency was most recently overseen by Commissioner Robert Califf, who held the role from February 2016 until Trump's inauguration.